Just in time to fill your stocking! Phantom controlling promises to have some interesting puzzles! Pull out your Christmas wish-lists everybody! The latest game in the Legend of Zelda series has been dated by Nintendo of America through their holiday line-up announcement for a December 7 release. There's no word as of yet when it will be out in European/Australasian territories. Though we don’t know a lot about the game, we know it involves a steam train similar to the steamboat in Phantom Hourglass; you can now control a Phantom; and the game is set approximately 100 years after Phantom Hourglass. The wait isn’t long now. We will endeavour to give more updates as the game approaches release! Hopefully Aussie will get it before Christmas!! I know what I'll be getting for Christmas. Loved the first one and am excited for this one. Wow! Review copies of New Super Mario Bros. Wii and now this. It's going to be a very Merry Christmas indeed. Haha, you cruel man, Corbie. Wasn't too big on Phantom Hourglass. Too many design flaws. 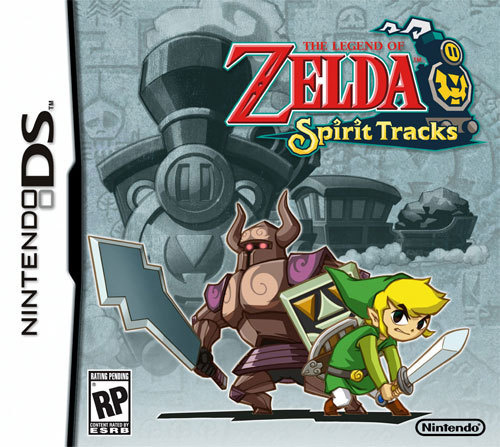 Still, I remain cautiously optimistic of this title as Zelda used to be my favorite game series. Please let it be before christmas for Australia. Too bad I'm getting final fantasy the crystal bears the day after Christmas. This will be the rare case in which i don't buy the next Zelda. On my Birthday!! !, and seriously is there even a better day than this one in the entire year, I mean everybody loves December (Snow, gifts, vacations) plus lucky seven. I am glad I was born that day! Hopefully everyone will have it before xmas! Also isn't this game rumored for a Dec 4th release in Europe coz it would be exactly on time with the NA release? i know how you feel man. The Wii hit shelves on Novemeber 19 which is in fact my birthday. It was the most special birthday i have ever had.No kidding. That's probally the number one reason why the Wii will always have a place in my heart. Can you guess what game i bought? Thats right a Zelda game=)I own almost all the zelda titles and makes me cringe that i won't own this title until later on. I was hoping for an october/november release. I hope Europe gets this on December After America! At the end of this year. 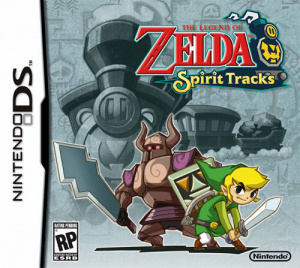 I rather enjoyed Phantom Hourglass so chances are that I'll be getting this one too. Darn it. I still haven't played Phantom Hourglass and there are other games I want to buy this Christmas like New Super Mario Bros. Wii. I have a lot of catching up to do. I'm expecting this to be another few steps away from the path of greatness. I too think the boxart could be a lot better. However i dont think the game will be any worse than Phantom hourglass, im hoping its better; cuz PH wasn't all that great. @cryptonic: You can blame the lateness on my time zone, I posted this news at approx 10pm your time on the 15th. So it was up first thing in the morning on the 16th. if it's based approx 100 yrs after the ph, howcom link is still a kid? This is going to be great, I cant wait for it. This? In my stocking?? I'd rather have coal, G-ddamn it! I don't care when it comes out just GIVE IT TO ME!!!!!!!!! !